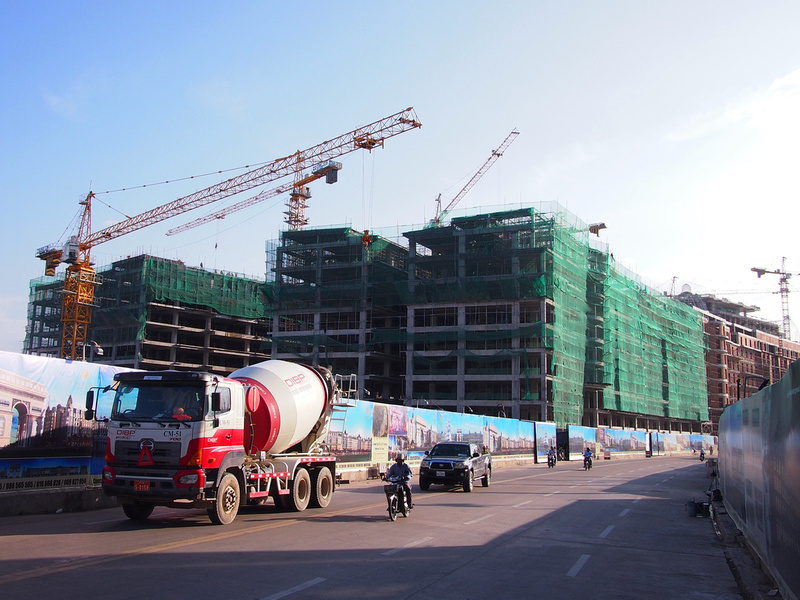 Phnom Penh is experiencing a construction boom which is starting to transform the city skyline. 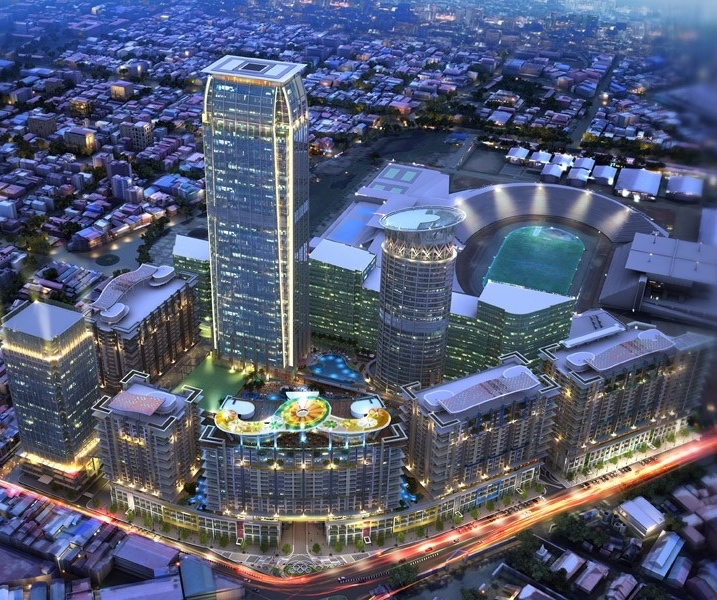 The Vattanac Capital Tower became the tallest building in Phnom Penh when it was completed in 2014. It won’t hold the record for much longer though as there are plans for half a dozen new towers that will surpass its height of 188 metres. This list is a combination of current and proposed developments. Some are under construction now, while some may never be built. I’ll be updating this page as new projects are announced, so feel free to comment or email regarding new developments. One thing I haven’t found is a transport plan to go with it, which given how big some of these projects are it would be crazy not to start planning for. Chroy Changva Riverside is a proposed mixed development of apartments and commercial space that features three groups of interconnected towers. Chroy Changvar is the peninsula where the Tonle Sap and Mekong rivers meet. 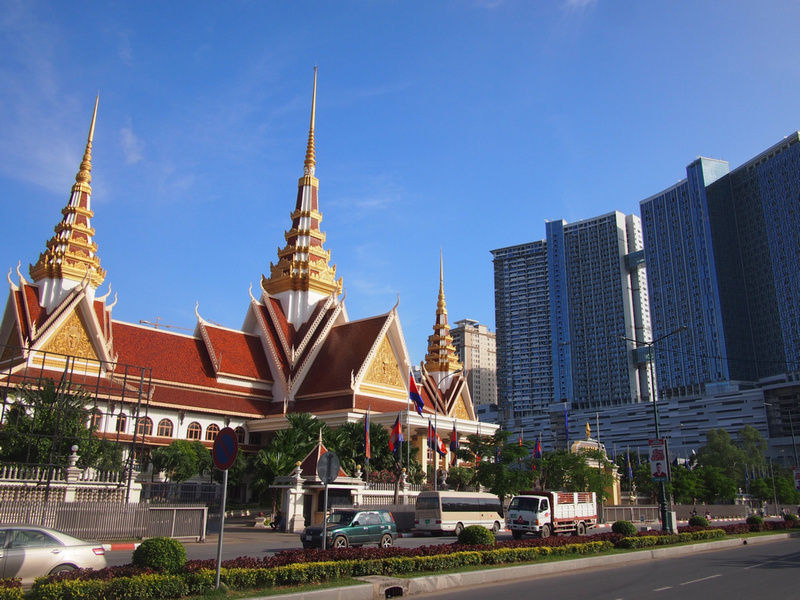 The development is on the east bank of the Tonle Sap, opposite Sisowath Quay. 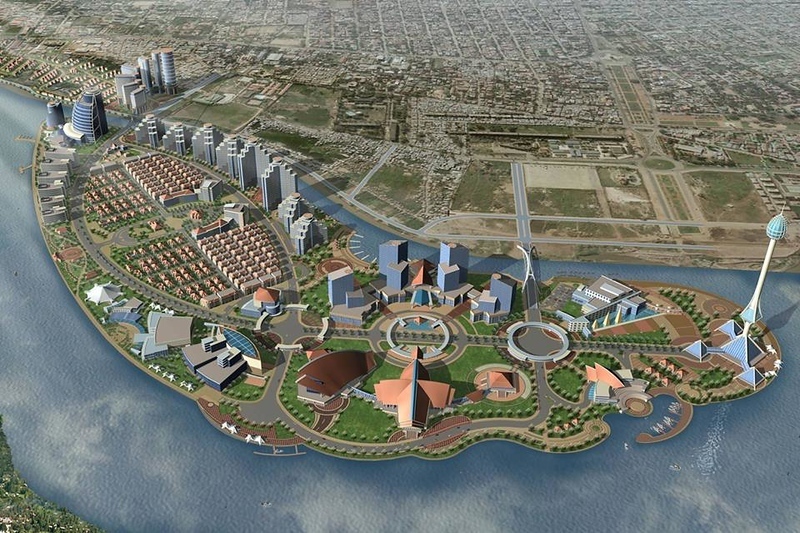 If this peninsula is further developed it could be a mini Pudong of Phnom Penh. 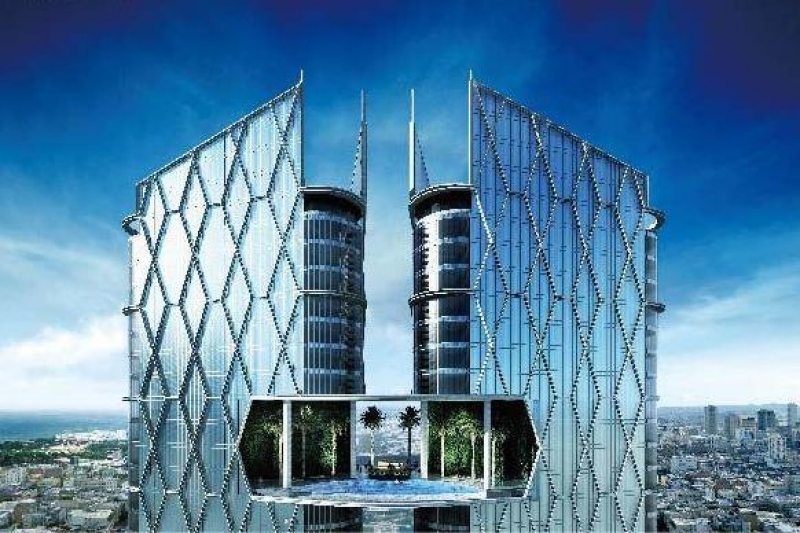 The Thai Boon Roong Twin Tower Trade Center is a proposed cluster of towers that includes two 525 metre / 133 floor towers. The complex also includes 4 towers ranging from 59 to 65 floors, which would be big news in itself if they weren’t overshadowed by the twin towers. This was announced in 2015, and so far remains as proposed. Address: Preah Sihanouk Boulevard 274, Phnom Penh. The Gold Tower 42 was first announced in 2008 and construction got underway on the 42 floor / 192 metre tower. The construction has stopped several times in the intervening years and is currently stuck at 31 floors. At the start of 2018 it was announced that construction will recommence and that the tower will be finished by 2019. 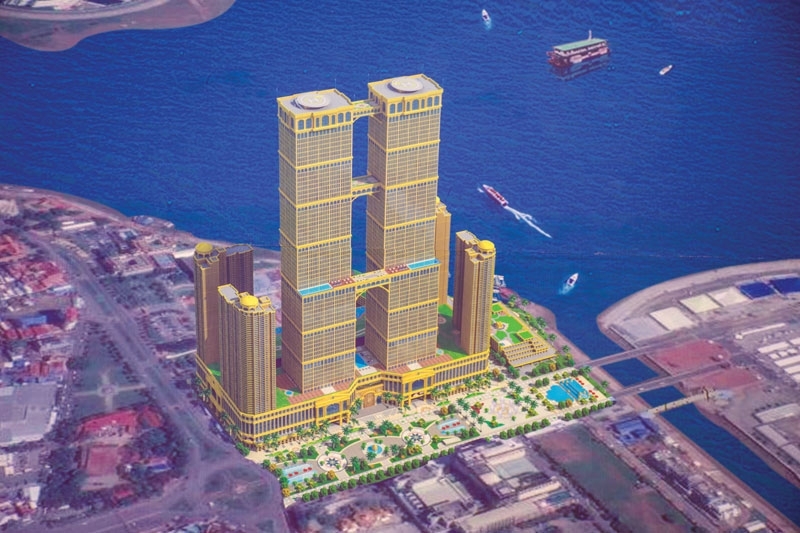 The Cambodiana Hotel Redevelopment is a proposed 144 floor / 600 metre skyscraper, which would put it in the mega-tall category. 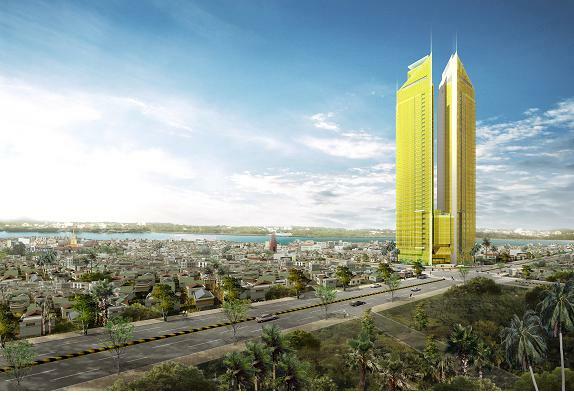 It would be built on the land of the iconic 1960’s Hotel Cambodiana, which would be a shame to lose. 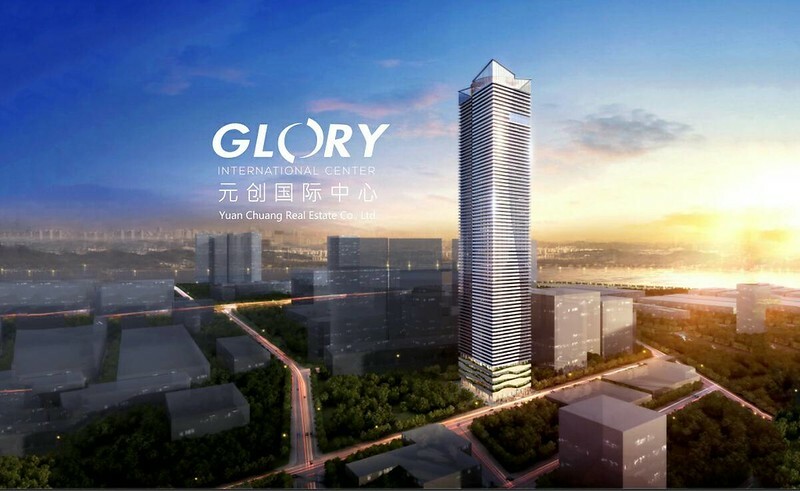 Glory International Center is another proposed skyscraper that is pending construction. standing at 300 metres with 78 floors, this tower a shopping mall, apartments, and a hotel. This riverfront development is at the former Phnom Penh river port, next to the Chroy Changva bridge. To give you an idea of its location, the circle on the concept image is where Wat Phnom is. There is little information on this project so I’ve added it here for future reference. 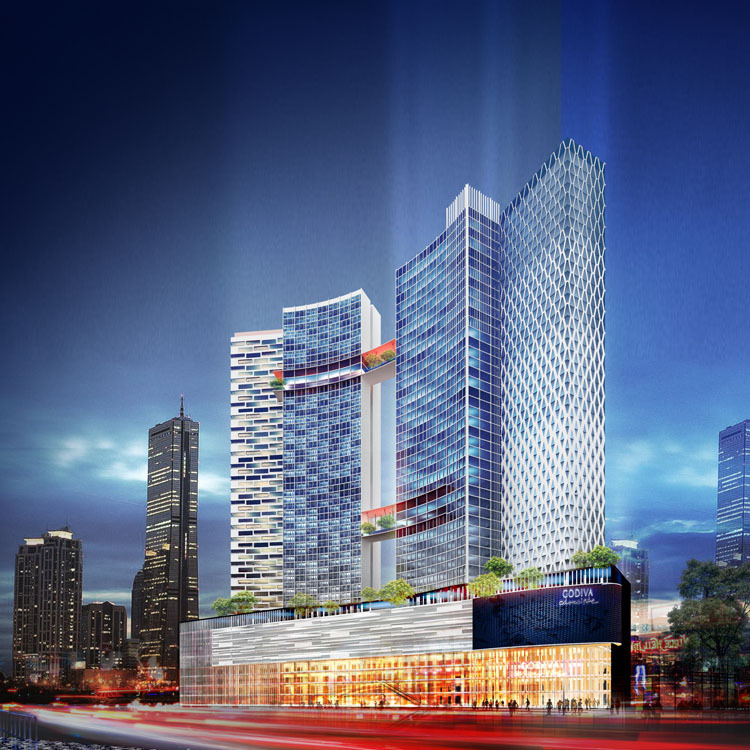 The Peak Cambodia is a multi-tower development featuring two residential towers and a Shang-ri La Hotel, on top of a mall managed by CapitaLand. 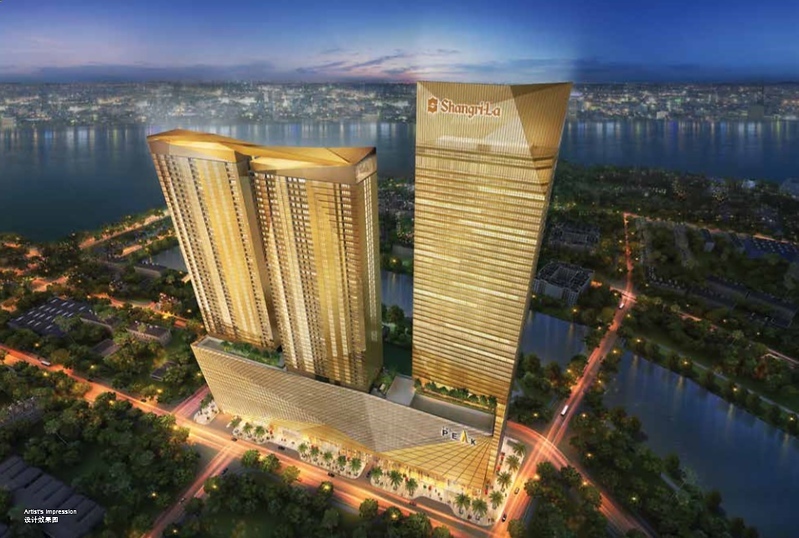 This one is currently under construction, and I’m surprised that Phnom Penh is getting a Shang-ri La before Saigon. 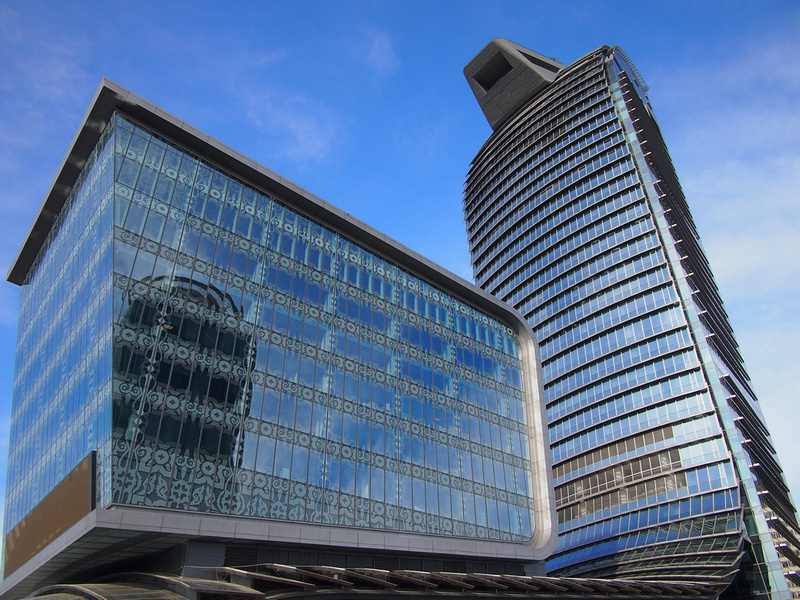 The Royal One is a 62-storey two-tower development connected with a garden sky-bridge near the top. 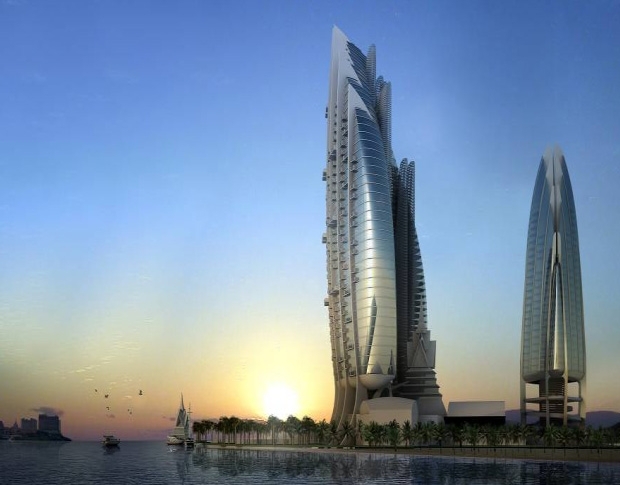 The towers will stand at 230 metres tall and will include apartments and office space. 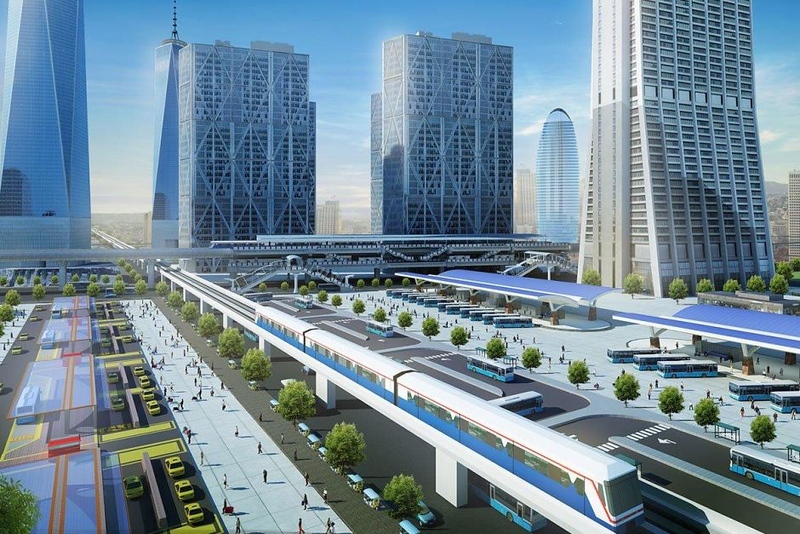 It is set to begin construction in September, 2018. Olympia City is a mega-development next to the Olympic Stadium. The project includes apartments, commercial office space, and a mall. Originally the centrepiece skyscraper was going to be 65 storeys but it has since been scaled back to 45 storeys. 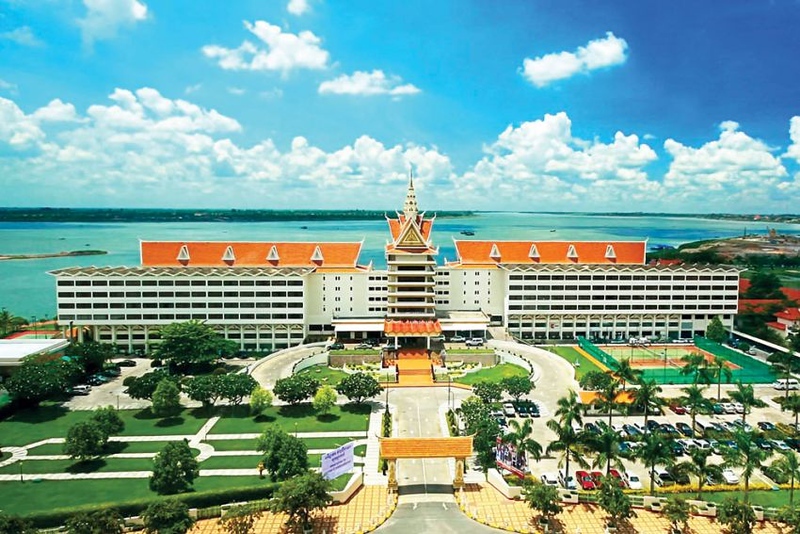 Diamond Island is a island-wide redevelopment Koh Pich. The site has several projects going on such as The Elysee, which is an imitation of an arrondissement in Paris. The ING City project is a 2,572-hectare site that was controversially reclaimed from the Boeung Tumpun Lake and Choeung Ek wetlands. 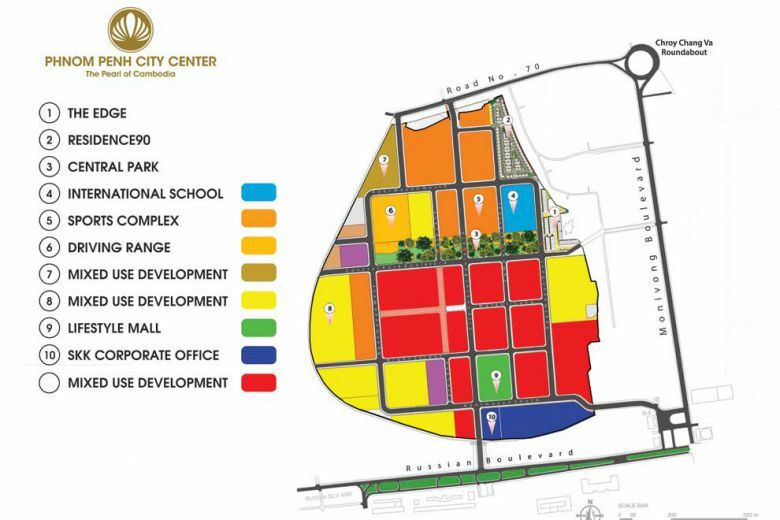 ING City will be a satellite city project within the current city, featuring residential, commercial, leisure, and transport facilities. ING Holdings is a Cambodian development company, and not related to the ING Group of the Netherlands. I should mention by now that the artists concepts of these mega developments are just concepts. For ING City I have used the image of the transportation hub, which includes a building that looks like One World Trade Center (Freedom Tower). I’ve not been able to find a mention of a metro system that would service this mini-city, as indicated on the image. 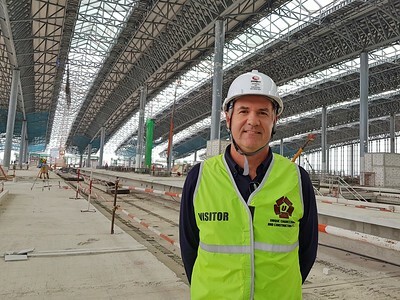 Maybe it will one day be a hub for train transport in mainland Southeast Asia. 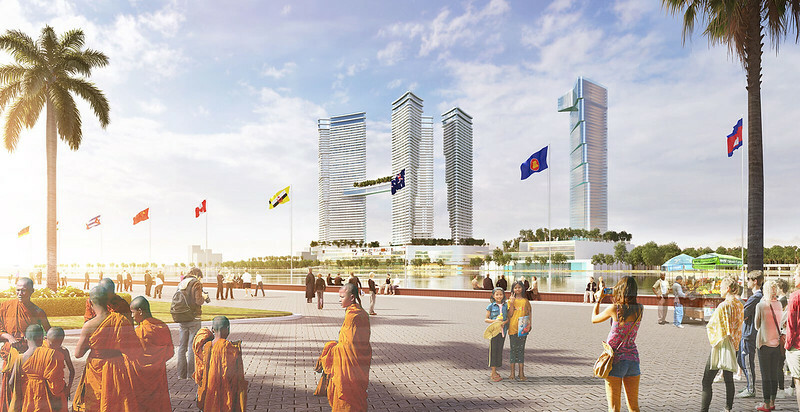 Another controversial land reclamation project is the Boeung Kak lake development, known as Phnom Penh City Center. Residents surrounding the lake were evicted and the lake has since been drained and filled with sand. Boeung Kak Lake was well known among backpackers for cheap guesthouses. The Bridge is another 2-tower development of 45 floors each on top of a 4-floor shopping centre. It’s opposite the Australian Embassy in the Tonle Bassac Commune, which is the home to some of the other big projects in the city. This should be finished by the end of 2018.